The series’ first visit to Circuit of the Americas is an outright affront to fans of fast on the face of it, as bad as spoiled spawn of your social betters scandalously enjoying outrageously unfair advantages in college admissions – if not worse. 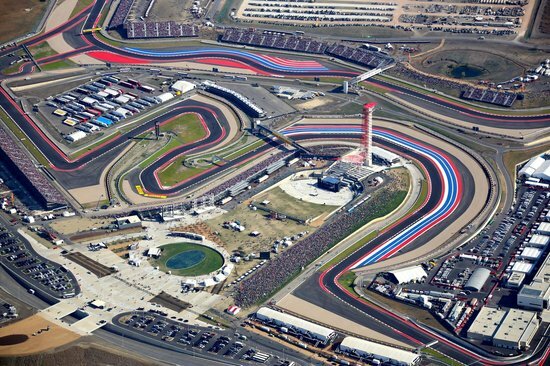 With a gratuitous twenty turns, the nearly three and a half mile road course called COTA was purpose built for Bernie’s money burning bunch back in 2012. IndyCar’s f-ing F1 invasion continues unabated in Texas, as evidenced by – among other things – this atrocious addition to the sickly, sorry schedule. Another rambling, redundant road course really isn’t what the series needs – or what discerning fans want. Turn happy circuits currently make up a full 70% of the slate, relegating IndyCar’s oval racing heritage to a level lower than Theresa May’s Brexit approval ratings.